It’s our birthday. In March, Sherbro Foundation turned one year old! And what a great first year it’s been. 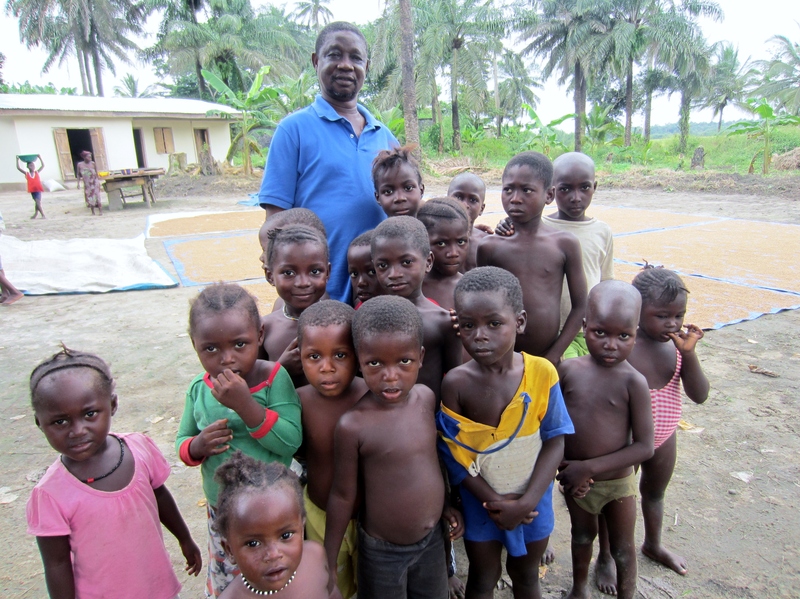 Paamount Chief Caulker with village children at his rice farm. In March 2013, we started with our commitment to fund a girls’ scholarship program and a pledge for 30 computers from a US corporation. 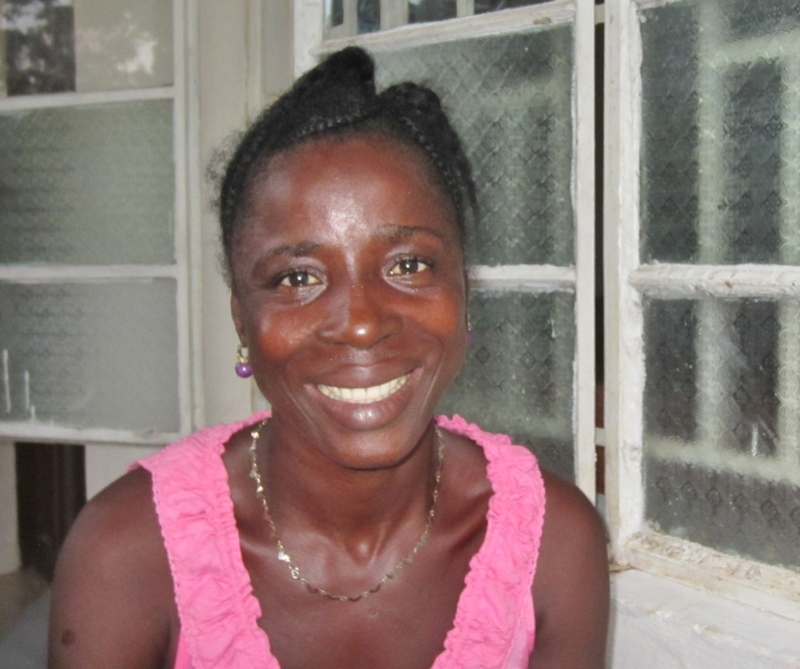 By year end, we had successfully launched five programs together with our local Sierra Leone partner, the Center for Community Empowerment and Transformation (CCET). The spirit and commitment of CCET is matched by their capability to get things done. They didn’t just start implementing programs. There’s already clear results to show for each one. CCET inspires us every day. And they keep Sherbro Foundation busy in keeping up with all the projects they’ve initiated in education, agriculture development and most recently, child welfare. I look at it as the stars somehow aligned at the time I returned to Sierra Leone in 2011 after an absence of 37 years. I found an old teacher friend from my Peace Corps days was now Paramount Chief of the chiefdom where I once lived. He had been slowly working to develop it from total war devastation to a rural hub for education and agriculture. A new girls school recently brought capable teachers to town who were also interested in community development, and decided to form CCET. I showed up in 2011, and within a year and a half, we were all working together to develop Bumpeh Chiefdom. The vision and strong local ownership of Chief Caulker and CCET are what makes it all work – and so quickly. Together, here’s what we’ve done in this first year. 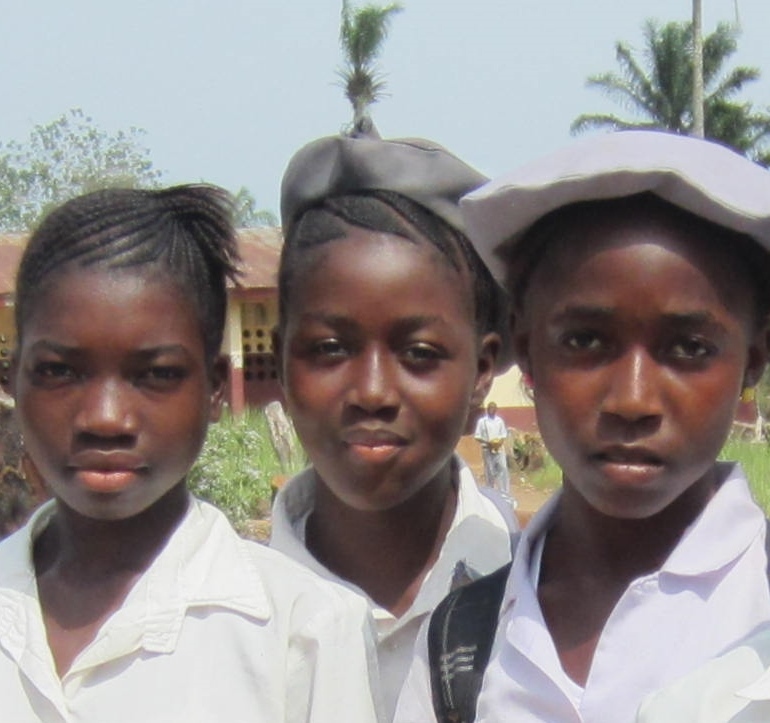 339 scholarships were awarded to over 200 girls in four secondary schools in Rotifunk. These enabled girls from rural villages to attend secondary school who may otherwise not be able to afford the $20 annual school fees. Scholarships were awarded over two academic school years. Fifty adults began their journey to literacy in September when the Functional Adult Literacy program started. Classes focus on reading, writing and practical skills to enable these adults to develop their small market trader businesses and farms. One group started to learn the ABC’s and to write their names, while another group picked up where they left off in primary school. This program sprang from within, when many women town came forward saying, we want to learn. Help us, too. Fifty laptop computers arrived in September through a US corporate donation, and by October, a group of adults became the first computer literacy students in Rotifunk. Only two teachers have the practical computer knowledge to teach others. So we’ve started the first computer class for the other teachers in town. They encouraged more adults to join them in becoming the first core group of computer literate people in town. As one said, we’re now joining the rest of the world. 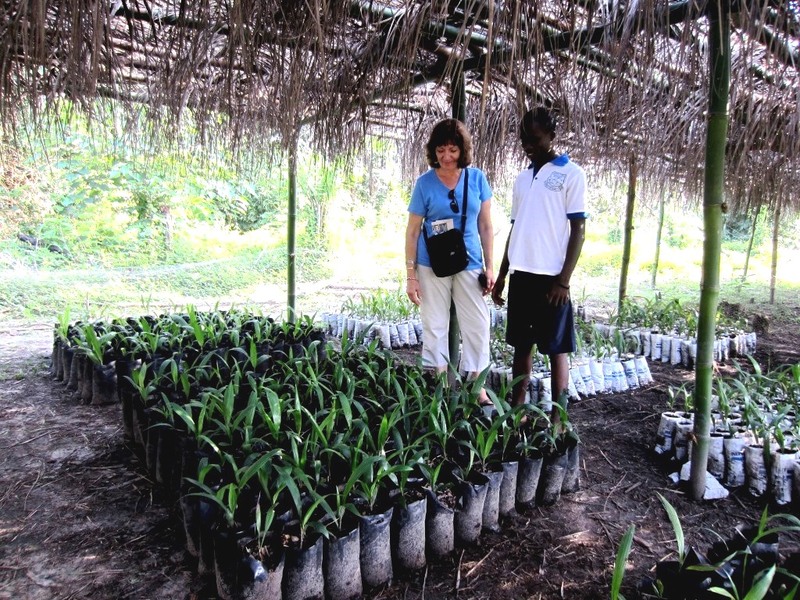 In October, land was being cleared for a tree nursery where seedlings of income producing trees are now being nursed. Tree seedlings will be given to villages to grow community orchards that will generate income for community development projects and environmental protection for years to come. Today, 18,000 seedlings are growing in the nursery until they’re strong enough to transplant. Some will be ready for rainy season planting in June and July that will include training programs on raising tree for villagers. In November, a child welfare program was started for newborn babies. When a chiefdom baby is now born, an income producing tree will be planted for them and the minimum deposit paid for a bank account opened in the new rural community bank in Rotifunk. Income from the sale of the tree’s fruit or lumber will be deposited in the account, and parents encouraged to add their own money. By the age of twelve, children will have the money for secondary school fees, and hopefully additional money to start life as young adults. Accounts are now opened for nearly 400 chiefdom newborns – and earning interest for their futures. I visited the chiefdom in November, and I can say every project objective we set for 2013 was delivered by CCET and done with excellence. 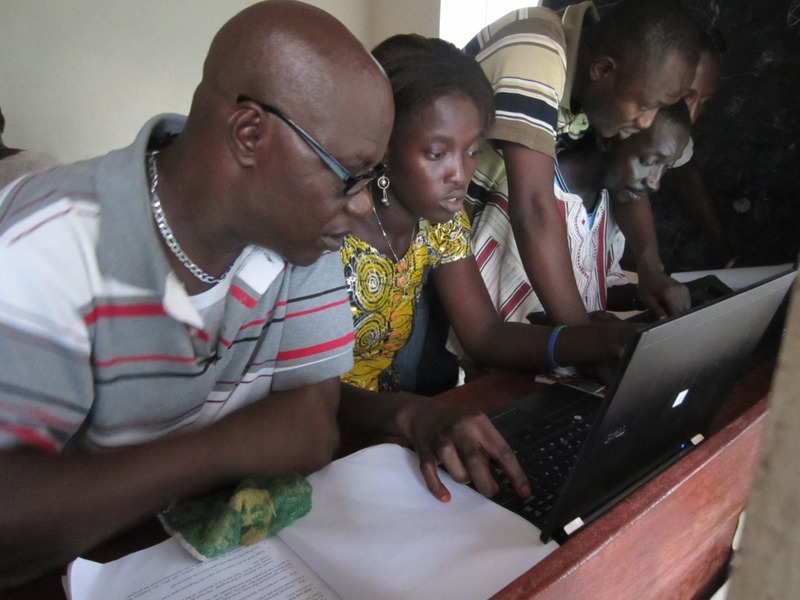 CCET’s work in Bumpeh Chiefdom has gained national attention. The Sierra Leone EPA, the Ministry of Agriculture and a mining company were all pleased with the local initiative shown in growing income producing trees for villages and the newborn baby project. They’ve donated towards the projects. Our work is cut out for us for 2014 in keeping all these programs moving forward. But with this kind of foundation now laid, the future of Bumpeh Chiefdom only looks brighter. You can join us. To help in moving Bumpeh Chiefdom to the next level, you can donate here. Hi. I do. I just delete. It’s the pseudo spam that’s equally aggravsting. People write a vague positive comment just so you check their blog. If you find a better wsy, Pls let me know.